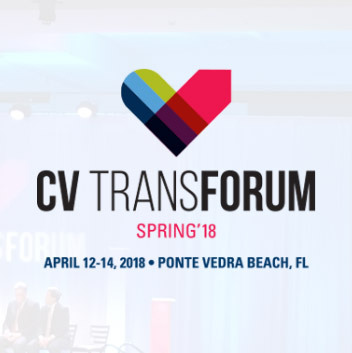 MedAxiom, the nation’s leading community-based cardiovascular performance organization, will hold its 2018 CV TransForum Conference on April 12-14 at the iconic Sawgrass Marriott Golf Resort & Spa in Ponte Vedra, Florida. Industry leaders from across the nation will come together to discuss industry trends, advancements in technology, examine practical business applications, and share best practices. The conference itinerary is packed with unparalleled learning opportunities that ultimately focus on increasing the quality, effectiveness, and efficiency of both your business and patient care. With relevant general sessions and a variety of breakout presentations, attendees will explore the challenges we currently face and strategies to stay ahead of the curve. The focus on bundled payments will continue from last year, and the conference will take an in-depth look into the methods for not only choosing a bundle but also how to work efficiently within the bundle methodology. This year’s itinerary explores the processes and protocols that deliver the best outcomes with the lowest possible cost and ultimately seek to identify patient decompensation before it gets too costly and damaging for the patient. Sessions will also address methods to protect and grow market share, a critical component of the conference, and discuss strategies that will help hospitals and physicians more effectively manage their care. Among others, keynote speaker and industry top thought leader will be Dr. David Wolinski, past president of the American Society of Nuclear Cardiology and the head of nuclear cardiology at the Florida-based Cleveland Clinic. Dr. Wolinski will discuss the future of imaging and how to develop a successful PET imaging program. He’ll be joined by Dr. Edward Fry, Chair of the Cardiology Division and CVSL of the St. Vincent Medical Group in Indianapolis, Indiana, who will share his thoughts on the CV healthcare landscape, the key trends, major issues, and the impact they have on our industry today. Finally, discussions on new revenue streams and cost savings ideas will round out the conference. They’ll touch on the best ways to cut costs and drive revenue while continuing to protect income. It’s all about balance. If you’re a hospital or service line administrator, physician leader, CFO, COO or a technologist, you won’t want to miss this conference. 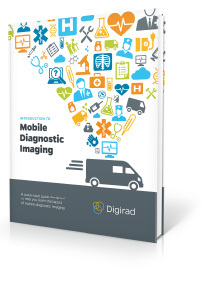 Digirad is proud to be an exhibitor at the 2018 TransForum Conference again this year. To learn more about MedAxiom and upcoming events, visit their website.